When it comes to safe, reliable vehicles, Toyota is one of the most widely respected brands out there. Regardless of the model you get, you’re sure to enjoy years of service without any significant issues. However, as great as Toyotas are, they are not infallible. All cars experience problems and setbacks from time to time, which means that you have to be prepared. Thus, getting the best OBD2 scanner for Toyota is an excellent choice for everyone, from casual owners to enthusiasts. 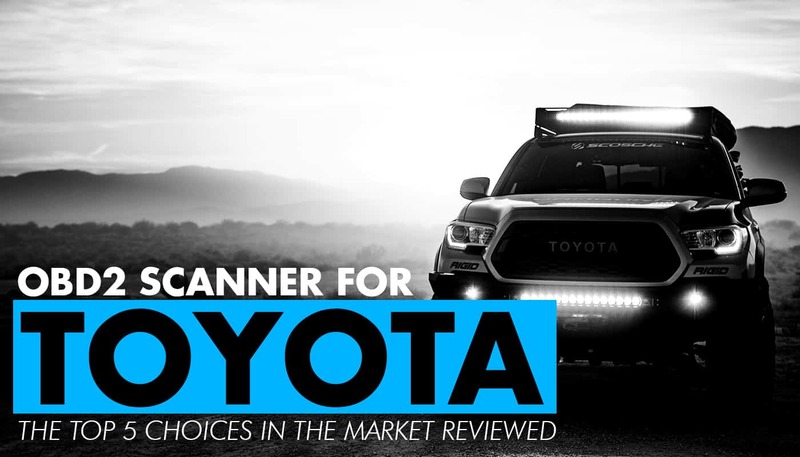 Today we’re going to look at the top scanner models that will help you keep your Toyota in tip-top shape. When looking for the best OBD2 scanners, you can either choose a model that comes with a handheld device, or something that works with your smartphone and computer. If you want the latter, Autel is one of the best companies, thanks to their rugged tablet and proprietary apps. Overall, the Maxidas DS808 is a professional-grade tool that offers a wide range of diagnostic tools. One of the best things about it is that you can check all of your car’s internal systems. Although OBD2 scanners were initially meant for smog check and the check engine light, modern varieties like this one can also provide codes for your oil, tire pressure, airbags, and more. Best of all, you can reset the lights quickly and easily. Newer cars all come with high-end computer systems that monitor everything going on underneath the hood. Fortunately, with the DS808, you can tap into that computer to see what it does, making diagnostics even better. To ensure that your Toyota is operating well, you can scan the data in real-time and manage all of your engine’s systems, making this device even more beneficial. Overall, the apps on this tablet are easy to use, and we appreciate that it’s a professional-grade device. You can do a lot with this scanner, and we highly recommend it for both enthusiasts and casual Toyota owners. The operating system on the tablet is not as powerful as it could be, so it may be a little sluggish at times. Also, in rare cases, you may not be able to reset the light from the device, so you might have to do some extra troubleshooting. If you don’t decide to get a handheld tablet or scanning device, then you can utilize a software-based approach, like this one. TOAD stands for Total Onboard Auto Diagnostics, and this is the ultimate OBD2 scanning tool. As we mentioned above, modern cars have onboard computers that monitor the health and well-being of your vehicle. While seeing the data it provides in real-time is useful, TOAD takes it a step further by allowing you to fine-tune the computer to improve your Toyota’s performance. One of the great things about having a Toyota is that almost all OBD2 scanners are compatible with each make and model. However, as new versions come out, your tool may become obsolete. Fortunately, that’s not a problem with TOAD, since you’ll be updated automatically for life. Whenever new Toyotas come out, you’ll have all of the obd2 codes, meaning that this scanner will always be compatible. 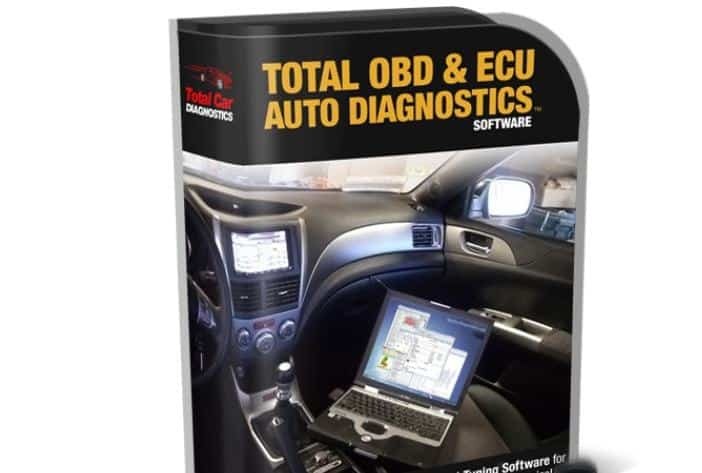 TOAD is our favorite software-based application, and it offers so many diagnostic tools that you may not use them all. We also appreciate that you get access to all sorts of repair manuals, which allow you to keep your car in shape without having to take it to the mechanic all the time. Unfortunately, for all of the features that TOAD offers, it won’t allow you to check or reset lights for the oil, tire pressure, or other internal systems. Also, if you’re a casual Toyota owner, it may be a little much. Standard OBD2 scanners are small, handheld units that essentially act as code readers. Innova makes some of the best of these models, although the 3160g is the top of their lineup. For the most part, having a smaller OBD2 scanner is beneficial because you can keep it handy at all times. You may even decide to put it in your car’s glove compartment so that it’s always there, just in case. While finding codes for the check engine light is imperative, we appreciate that this scanner will allow you to monitor other vehicle systems, like your battery or airbags. Overall, this is a complete diagnostic tool. Innova makes some of the best “standard” OBD2 scanners, and this particular unit is our favorite. Not only does it offer code reading and resetting for all internal systems, but you can monitor and track performance data in real time as well. While the scanner itself works perfectly, it can run into trouble if you try to save the data to your computer. The software is not always compatible with your device, which can be an issue for some users. Like Innova, Actron is a company that specializes in making handheld OBD2 scanners. However, these models are usually code readers and nothing more, although the CP9690 is the full-service version that they offer. When you compare this scanner to the others in Actron’s lineup, you’ll notice that the screen is a lot bigger. The reason for this is that you have to be able to see live-streaming of your car’s performance data. Fortunately, the system also allows you to graph it so that it’s easier to read. Like with most modern OBD2 scanners, you can monitor and reset codes and lights for a variety of internal systems. Also, because Toyota is ubiquitous, you shouldn’t have any problem finding your make and model. If you’re going to get a handheld scanner, this is an excellent choice. We like that it comes with live scanning features and that it’s easy to use. It may not be professional-grade, but it’s more than sufficient for most owners. Overall, the operating system for the device may not be as reliable as it should, so you can sometimes experience connection issues, or the scanner may not turn on correctly. As we mentioned, most OBD2 scanners have Toyota models included because the brand is so widespread. However, this particular model is designed specifically for Toyota cars, including Lexus, Scion, and Isuzu. This compact and handheld scanner allows you to tap into your vehicle’s onboard computer, which enables you to monitor everything quickly and easily. Although you can’t fine-tune your ECU’s performance, you can graph data in real-time and get a more comprehensive picture of what’s going on underneath the hood. Resetting all of your Toyota’s codes are a breeze with this device. From the ECU, you can check on all sorts of internal systems, including the battery, transmission, and all of the check engine codes. Because this device is made for Toyota models, it’s much easier to navigate through the menu screens. Some generic OBD2 scanners have dozens of brands on hand, which can be a little overwhelming. We also like that this connects directly to the car’s ECU, making it easier to diagnose any problems or potential issues you may experience. The device itself is smaller than most, so you may have trouble reading the screen. Also, it doesn’t come with updates, so it may become obsolete if you wind up with a newer model than what’s included. ​Read and clear codes for the engine, oil, transmission, etc. Overall, if you want a high-quality OBD2 scanner for your Toyota, we highly recommend the Autel Maxidas DS808. This tablet comes with a lot of pro-grade apps that will help you get the most out of your car. If you prefer software-based programs, however, then TOAD is the best option. Although it doesn’t check other internal systems, it has so many features that you can’t go wrong.